34 photos of this very successful Scottish Highland line. 46512 E V Cooper Engineer, Broomhill, Thurs 28 May 2015 2. 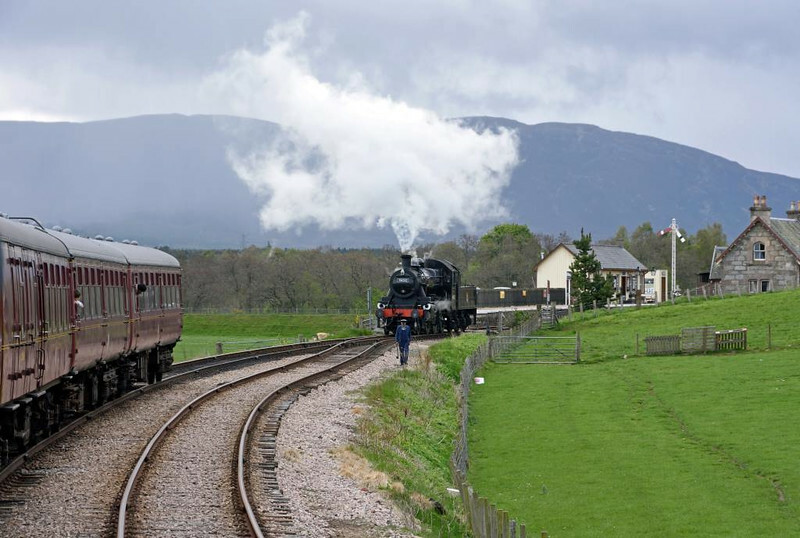 The Ivatt 2MT changes ends for the return to Aviemore.